For most of people wireless internet means WI-FI but, WI-FI is mostly misused with lot many technical jargons. These days we all are facing one problem i.e. internet speed. We are constantly asking to our internet service providers (SIP) that why I am not getting proper speed of internet or why WI-FI is very slow. While it is not the internet service providers who are responsible for the slow speed of your inter or WI-FI. Rather it totally depends upon the selection of routers that you are using in order to get WI-FI and that speed offered by them. Wireless networking standards set 802.11n and 802.11g are referring by Wireless- N and Wireless-G which is standard set of wireless networking by the Institute of Electrical and Electronics Engineers. Wireless standards sets, the Numerous of Manufacturing companies who are creating WI-FI products as Router and WI-FI devices like Laptops, Kindle, Kobo, Roku, Smart TVs, Tablets, play station 4, iPhone who can start all on the same page. Suppose at a specific place a wireless networking device is not able to connect to specific router through which we want to connect. It would create feeling of frustration and big loss of continuity for users. Till the time wireless networking standards as Wireless- G Router and Wireless- N Router are not fixed up for mass use and publication, they are called Drafts. Over two prior standards- 802.11ng and 802.11a, an improved network IEEE802.11n a wireless networking standard is created which has maximum speed and transmission capabilities. Wireless- N Router is very significant because the data transmission rate is increased which is more than ten times from 54 Mbps to 600-900 Mbps. For wireless Transmission Wireless- N Router is opened additional spectrum area and in channel width of 40 MHZ, it is allowing the usage of 4 spatial streams which is two times more than the channel width of Wireless- G 802.11N. 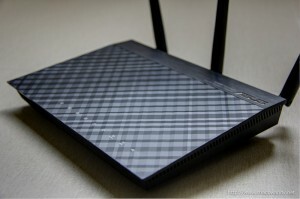 Wireless- N Router provides features like improvement and protection and many more additional characteristics. If you are still using the old Wireless- G Router means that you are compromising the security of your Wireless and as well as the speed and latest high secure and updated routers. If you want to waste your time then you are welcome to use Wireless-g routers, as they are not the most efficient routers to get things done for you. This is not a sleeker update; this is a major change of features. Here I am talking about the most effective Wireless improvements. 1) Channel Width : Wireless-G Router has channel width of 20MHZ while channel width of Wireless- N Router is 40 MHZ. 2) Range: Range of Wireless-G Router is 75 ft while in Wireless N Router it’s up to 200-500 ft.
3) Maximum Productivity: Wireless- G Router provides 54 mbps while in Wireless- N Router speed is 600-900 Mbps.